Here’s a close-up look at another vessel at work in New York Harbor, the schooner Pioneer, owned and operated by the Seaport Museum New York (formerly the South Street Seaport Museum). This is the block at the end of the fore boom. 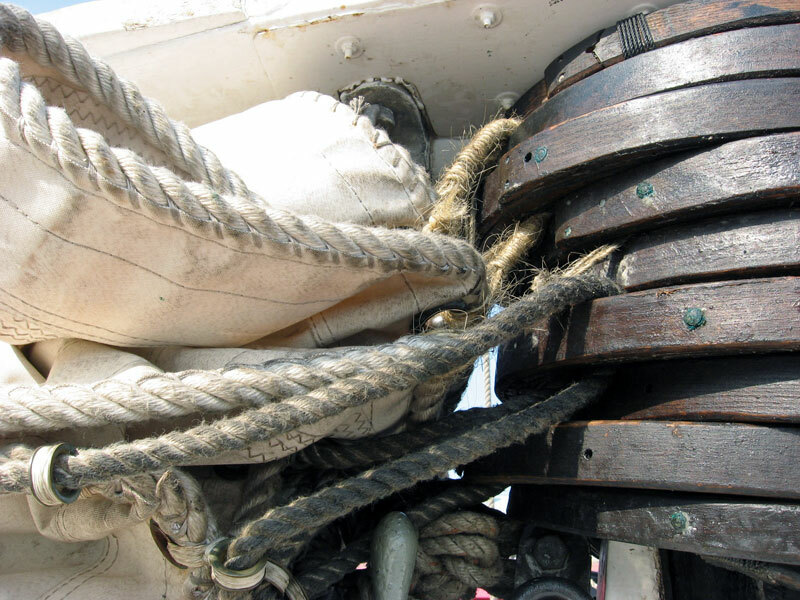 The line running through is the foresheet, which is used to control the angle of the sail with respect to the wind. These are the mast hoops. The hoops go around the mast, and the sail is attached to the hoops. 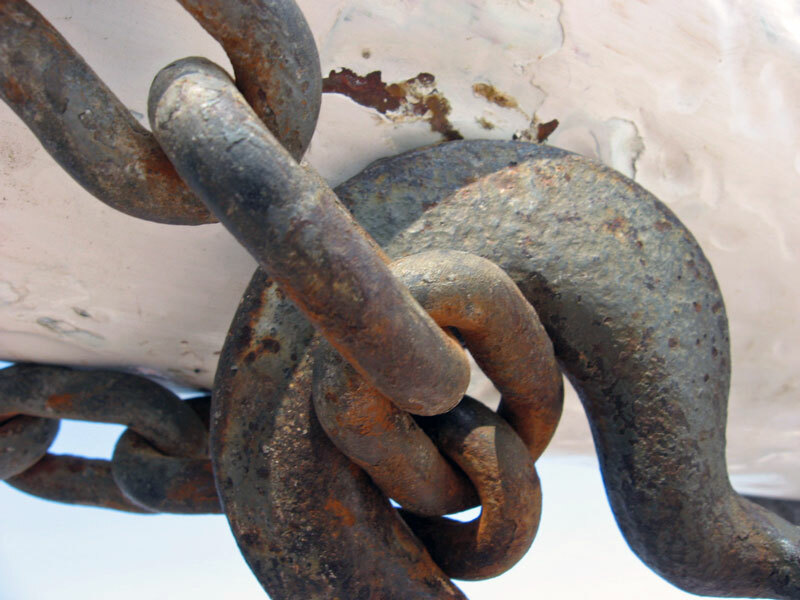 This hook is attached to a block, part of the preventer tackle. 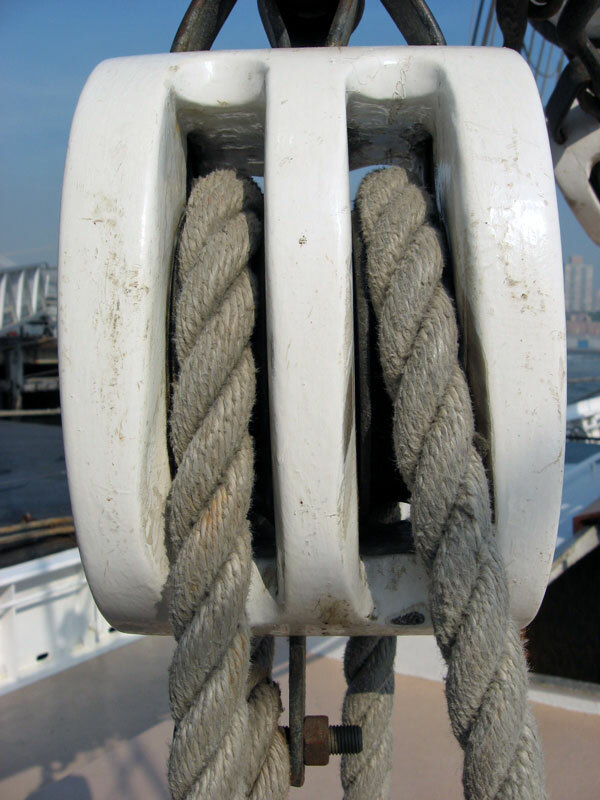 It’s used when sailing downwind to prevent the boom from swinging from one side of the boat to the other. 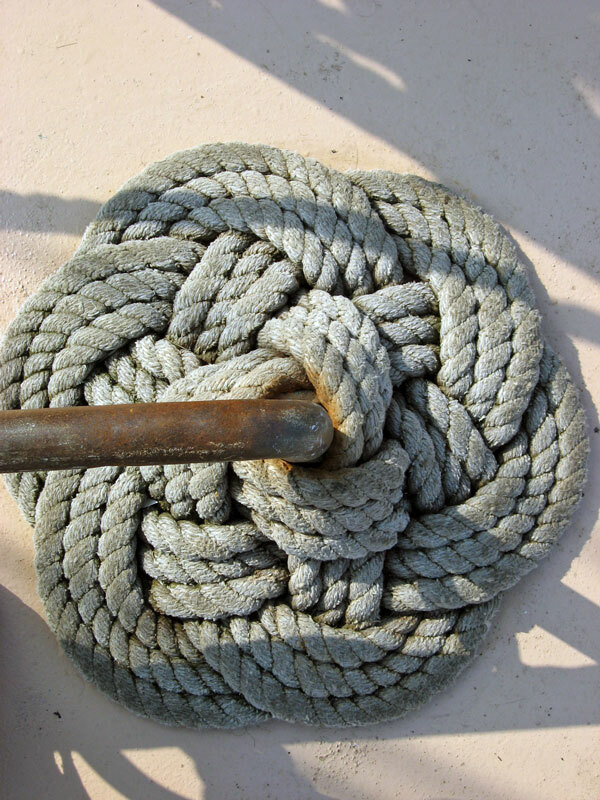 And this is some decorative ropework at the base of the fore traveler. Pioneer‘s season is over, but come spring you’ll be able to sail on her.